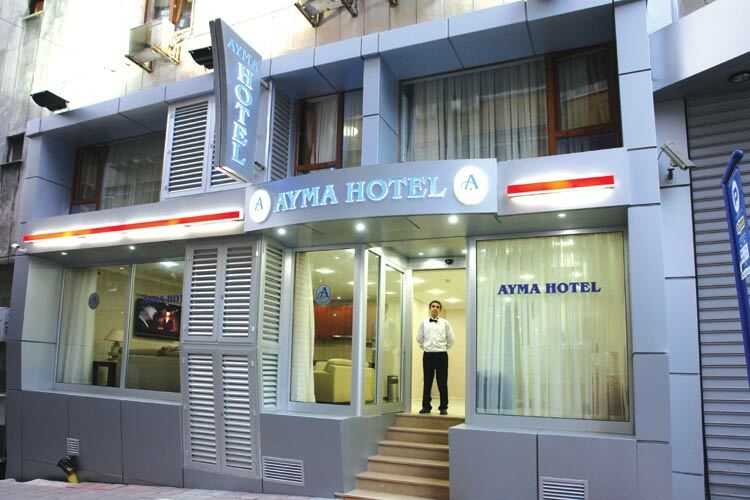 Ayma Hotel is located in the Laleli area at the heart of Istanbul, 15 minutes away from Ataturk Airport and within walking distance of the Topkapi Palace, Grand Bazaar and other famous historical sights in Sultanahmet such as the Haya Sophia and the world famous Blue Mosque. 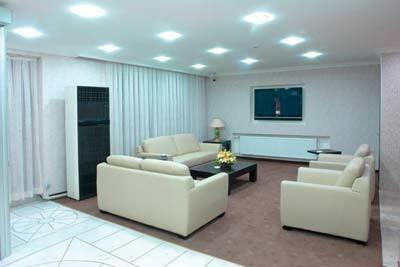 All 40 rooms at this establishment are equipped with a satellite plasma TV, a direct dial phone, central heating, air-conditioning, a mini-bar, a hairdryer and 24 hour service. 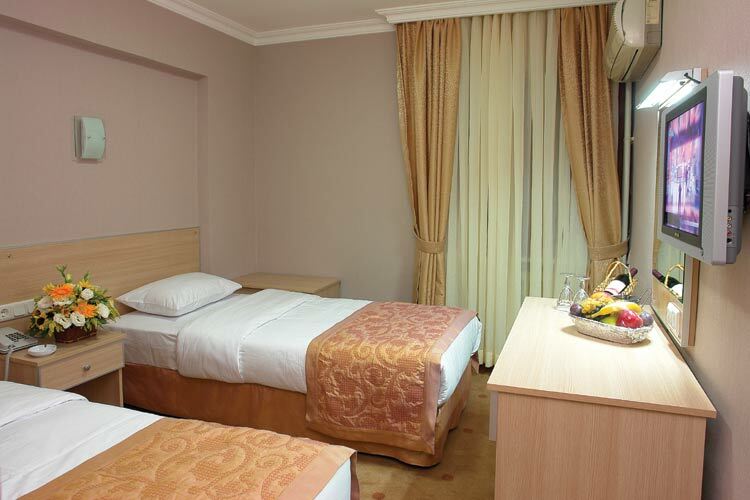 Guests are accommodated in single, twin and double rooms, all with private bathrooms. 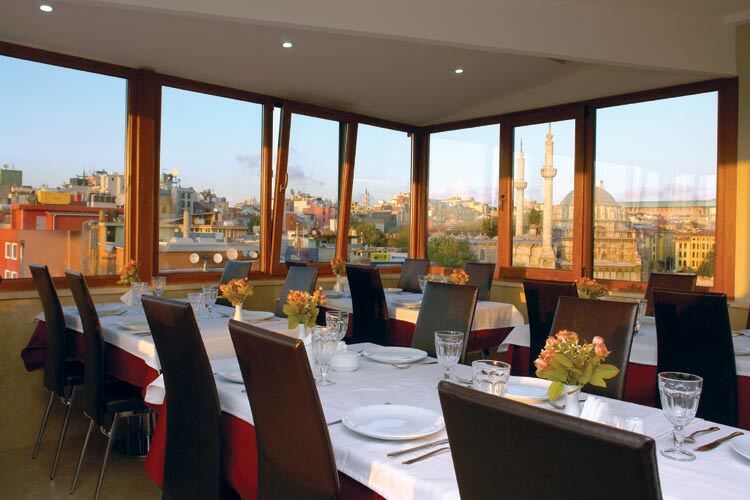 At the restaurant you can try the delicious Turkish cuisine as well as international dishes, and a complimentary buffet breakfast is served every morning in the hotel’s breakfast hall.